What Will You Stamp? : WWYS Challenge #163 Winner! Please join us in congratulating Heather on her win this week! 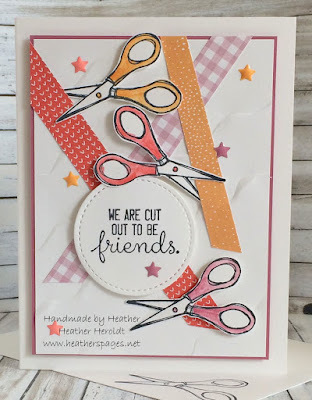 Heather, you are now invited to join us as a guest stamper for the challenge on April 30th! Please send us an email at whatwillyoustamp[at]gmail[dot]com before Friday, April 20th at 5 pm in order to get your badge for winning and get details for the challenge. Thank you for participating this week and we hope that you'll be able to join us again next week on What Will You Stamp! Aww, thanks so much for the pick! Good times here, always! WWYS #166 // Lovely Wishes. WWYS #165 // Happiest of Days. WWYS #164 // Petal Palette. WWYS #163 // Crafting Forever. WWYS #162 // Sweet Little Something.